Sales in the Premium Compact segment are the fastest declining segment in the US car market, as sales are down 27% in the first quarter of 2017, following a 19.5% decline in the second half of 2016. Five out of the segment’s eight models show double digit declines, of which the entire top-4. The only way to give this segment some positive news is that it would be down by “just” 2.8% if we considered the Infiniti QX30 to belong here as well. The Qx30 is marketed as a crossover, while in fact it’s really just a hatchback. Then again, following the same reasoning the Mercedes-Benz GLA should be classified as a hatchback as well, so we’re not sure how to classify it. We’re interested in what our readers have to say about this matter. In Europe, it is sold under two different names for both segment: the Q30 hatchback and QX30 crossover, even though the only distinction between the two is the higher ground clearance of the latter. In the US, the Q30 is sold as the QX30 Sport, but Infiniti does not specify the take rate on that version, which would have made things a bit easier for us. For now, we’ll display it here for reference (it would instantly have become the segment leader), but keep it officially in the small SUV segment. 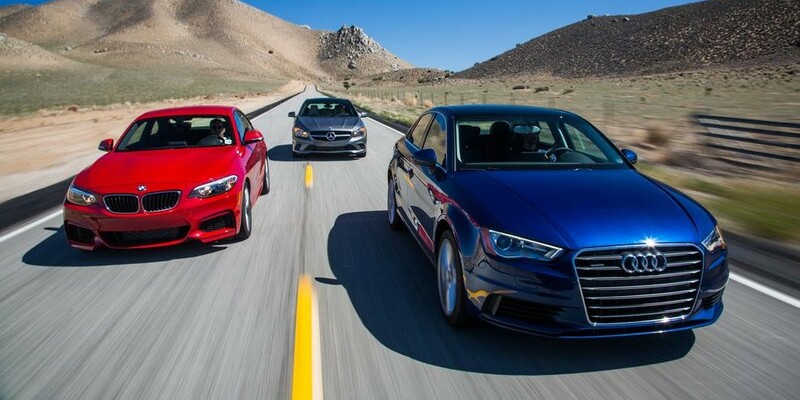 Following a steady first half of the year sales in the Premium Compact segment fell by a substantial 19.5 percent in the second half of 2016, resulting in a 10.0 percent fall in sales over the course of the year. Nonetheless, this rate of annual decline was still lower than that for the Premium Large and Premium Mid-sized segments (14.2 and 15.3 percent, respectively), reflecting the fact that all Premium segments were affected by consumers’ migration to the Premium SUV segments, all of which recorded positive growth sales. In fact, it’s interesting to note the symmetry of how the two sets of segment diverged: in 2015 both recorded around 1 million sales, but the non-SUV Premium segments then lost around 130,000 sales (13.0 percent) in 2016, while the SUV Premium segments gained around 120,000 sales (rise of 11.9 percent), results in a net fall in all Premium segments of only 1 percent. But, back to the Premium Compact segment – its outlook for the near future is rather bleak, as none of the four models that currently make up the segment likely to receive any substantial upgrades in 2017, though Acura would do well to replace the ILX which has fallen from segment leader in 2013 to last spot in 2016. The Audi A3 sedan is a good-looking car: surprisingly well-proportioned for a compact sedan, more interesting than the “seen it before” hatchback, and nicely compact compared to its overlong and boring bigger brother, the A4. One of the better aspects of its design is the rear, and especially the aggressively squinty tail lights, which look much better than the boring lamps on the A4, or the weirdly frowning-looking ones on the A6. 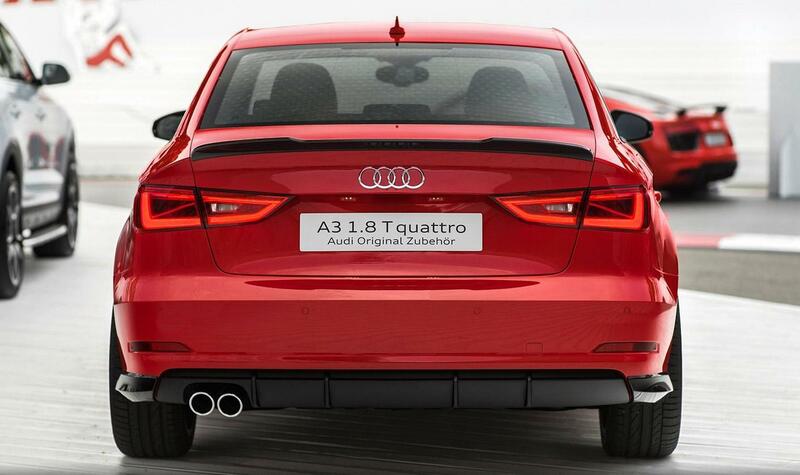 But the A3 sedan is not the only car that sports such aggressive lamps at the rear, to the benefit of the overall design.